Memphis is known for Elvis and Graceland. Let it be known right now that you can add Dirty Streets to that list. Dirty streets are a power trio. Their style is blues based rock and roll. Not to heavy and not to light, they're just right. They have a 70's classic rock sound to them as well. 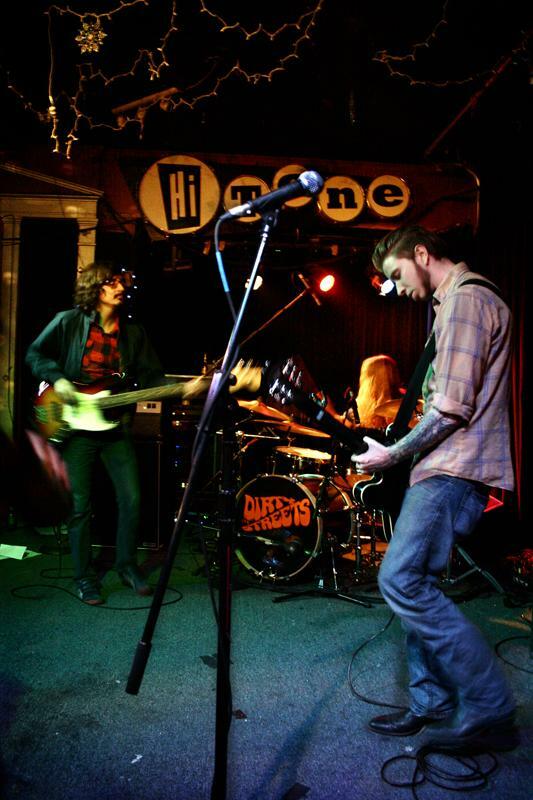 Dirty Streets are a young band from the Memphis area who have no fear of bathing in their proto-punk and soul roots. Their album Portrait of a Man is an obvious product of digging on the likes of MC5, Rolling Stones, James Brown, Cactus, Humble Pie & the Faces. They currently have a Bandcamp page with a few songs to share and a Myspace with some songs. There is one album out called Portrait of A Man which is available only through iTunes. If you like blues based rock then you owe it to yourself to check these guys out, you'll be glad you did. New dirty streets album is out now. Movements. You should review it. Good record.